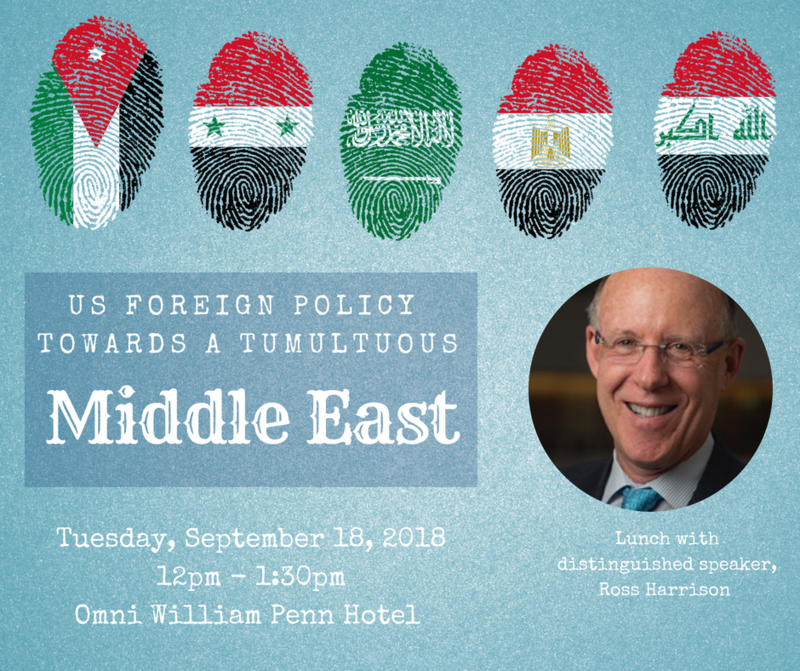 Ross Harrison is on the faculty of the Walsh School of Foreign Service at Georgetown University, where he teaches Strategy, and the University of Pittsburgh, where he teaches Middle East Politics and U.S. Foreign Policy Towards the Middle East. Harrison is also a senior scholar at the Middle East Institute in Washington, DC. Harrison authored Strategic Thinking in 3D: A Guide for National Security, Foreign policy and Business Professionals and co-edited with Paul Salem a 2017 book, From Chaos to Cooperation: Toward Regional Order in the Middle East. He is completing a new book on the civil wars in the Middle East with co-editor, Paul Salem, which will be released by early 2019. He lectures regularly on matters related to strategy and as well as Middle East politics at the U.S. Department of State, the National War College, National Defense University, The Navy War College, the U.S. Department of State’s Foreign Service Institute, Georgetown University and Johns Hopkins School of Advanced International Studies, and the Matthew B. Ridgway Center for International Security Studies. He is also part of a back channel diplomatic initiative relating to Syria, Iraq and Yemen, and has been a member of several study groups and Track II diplomatic initiatives related to the Middle East and U.S. foreign policy. Every summer Harrison teaches strategy to senior military and government officials in Tbilisi, Georgia. Harrison has been published in policy related journals such as The National Interest, Al Monitor, Foreign Policy, Foreign Affairs and Parameters (The U.S. Army War College Journal), and Huffington Post, Orient and al-Jazeera. He is often interviewed by the media and quoted in national papers, including The New York Times on issues related to the Middle East. Harrison, in addition to living in Pittsburgh, has a home in Washington, D.C. with his wife Mahnaz.